It is no secret that Greece is one of our favourite summer destinations in the world. Island hopping in this country is one of the best traveling experiences one can have. What’s more, there are so many different ways to do it, with plenty of options and tailored to the needs and circumstances of each traveler. 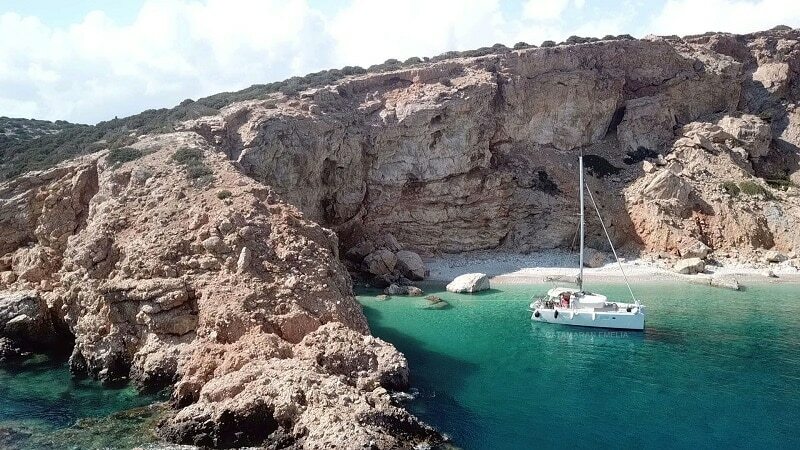 One such way are the sailing cruises offered by Catamaran Emelia, a family-owned sailing business based in Paros. Today we’re taking a closer look at Catamaran Emelia with this travel review. 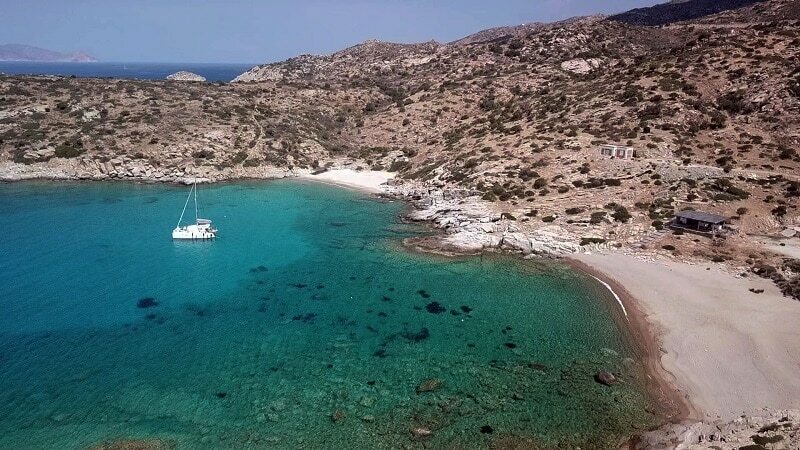 What Catamaran Emelia offers are skippered sailing cruises between several Greek islands of the Aegean Sea. 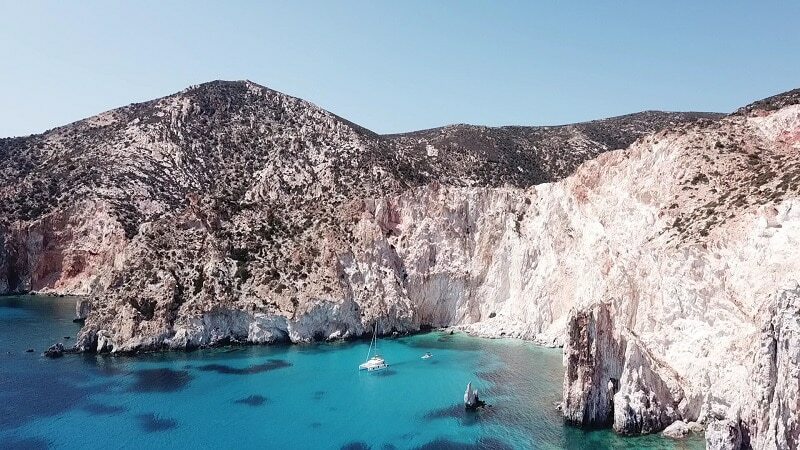 The islands visited are the Cyclades islands, and include but are not limited to: Paros, Naxos, Schinoussa, Santorini, Amorgos, Mykonos, Koufonissi, Ios, Milos and Serifos. The order of visit and itinerary vary. The yacht is a Lagoon 39 Catamaran called Emelia that features 4 double cabins, 2 showers and a fully equipped galley. The maximum capacity of the yacht is 8 people plus the skipper, who is called Nikos, is the owner of Emelia and the only crew the yacht needs during the cruise. Cruises usually last one week and travelers spend the nights in the yacht’s cabins. When you book a cruise with Catamaran Emelia, here’s what’s included in the price besides the trip and accommodation: skipper’s fee, insurance, tax, bath towels, cleaning service upon your return. Food, fuel consumption and harbor fees are not included. 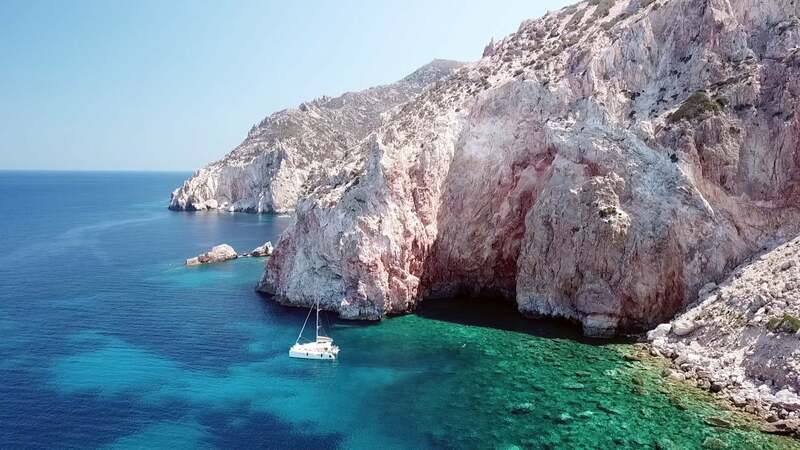 Exploring the Greek islands at your own leisure, away from the hustle and bustle of the crowds, discovering a side of the islands off the beaten path that only locals know about, is an incredible privilege and a dream come true for many. All of that on top of an impeccably well maintained yacht, with a captain that knows the Aegean Sea like the back of his hand. Nikos is not only a very experienced skipper but also a very knowledgeable person on the Cyclades islands which means he doubles down as a tour guide, revealing to travelers the most beautiful hidden parts of the islands. Such a cruise is perfect for families and couples on their honeymoon alike. Live an unforgettable week seeing what are known worldwide as the most beautiful islands in Greece, such as Paros, Naxos, Ios Mykonos and last but not least, Santorini. What’s more, the yacht is in tip top condition, offering very comfortable cabins to guests with all the amenities one can expect. It’s as well equipped and stylish on the inside as it is on the outside and aims to make you feel at home at all times during your stay. The service offered by Catamaran Emelia is of the highest quality and value. Nothing you find on the internet will tell you what Nikos knows about these islands. If you appreciate comfort, elegance and a friendly hospitable service then the Catamaran Emelia sailing cruises are for you. Next articleTop Things to Do in Madison, Wisconsin, and Tips for First Timers!